More information about how a load cell works in this link. The LC414 is designed for rugged industrial weighing applications. Built-in overload stops and the ability to withstand up to 12.7 mm (0.5") off center loading allows the LC414 to survive in applications when the load cells would not. 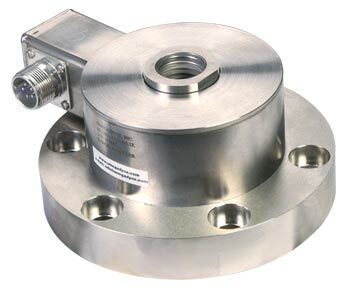 The all stainless steel construction and sealed connector provides a load cell that can withstand the harsh environments found in most industrial applications. The integral mounting plate with mounting holes makes installation fast and secure.